Dota 6.64 6v6 - DotA Allstars 6.64 6v6 map has been released by GoD-Tony now you can play 6v6 in the latest map. I suggest you to have a 6v6 game in Dota 6.64 you will really like it. 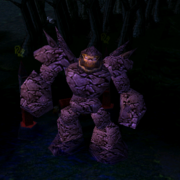 Check out the download Dota 6.64 6v6 Map Download link. You will have time getting players for Dota 6.64 6v6 game but you will enjoy when you have a game, Also do you want 6v6 Dota rooms in Garena? Share your thoughts and suggestions! hahaha lol..... you are late !! ~BoB~ makes the OMG maps, not 6v6. It's very fun map when we boring with 5v5 map. dota is 5v5 game . . .
don't cnange that . . .
galing mo bro astig! jkcajkcajkca.,... thx for the gr8 map! can you make a dota OMG 6.64v? give me a beta keys!!!!!!!!!!!!!!!!!!!!!!!!!!!!!!!!!!!!!!!!!!!!!!!!!!!!!!!!!!!!!!!!!!!!!!!!!!!!!!!!!!!!!!!!!!!!!!!!!!!!!!!!!!!!!!!!!!!!!!!!!!!!!!!!!!!!!!!!!!!!!!!!!!!!!!!!!!! very2 nice map . but still got problem . u better think about 6 v 6 .